In this podcast, the Radio Free HPC team looks at the FCC’s move to abolish Net Neutrality regulations put in place during the Obama administration. Dan thinks this is a good move to remove unnecessary regulations, but rest of the crew is worried about where this will lead the future of the Internet. 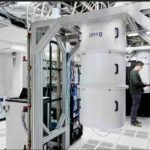 Today IBM announced the first clients to tap into its IBM Q early-access commercial quantum computing systems to explore practical applications important to business and science. In all, twelve initial organizations joined to foster a growing quantum computing ecosystem based on IBM’s open source quantum software and developer tools.